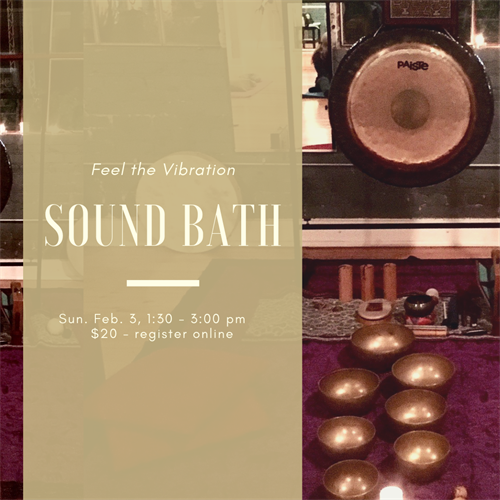 Relax and enjoy ancient sounds from around the globe including guitar, overtone singing, chimes, Tibetan Bowls, flute, gong, frame drum, shruti box, tuning forks and didgeridoo. Every object has a natural vibratory rate; it’s resonance. One of the principles of using frequency as a transformative and healing modality is to understand that the body is in a constant state of vibration. Every organ, every bone, every tissue, every system–all are in a state of vibration. When we are in a state of health, the body projects an overall harmonic of health. External frequencies along with intention can be used to support and return both body and spirit to optimal health. Mats, blankets and bolsters are provided, but feel free to bring whatever makes you comfortable.